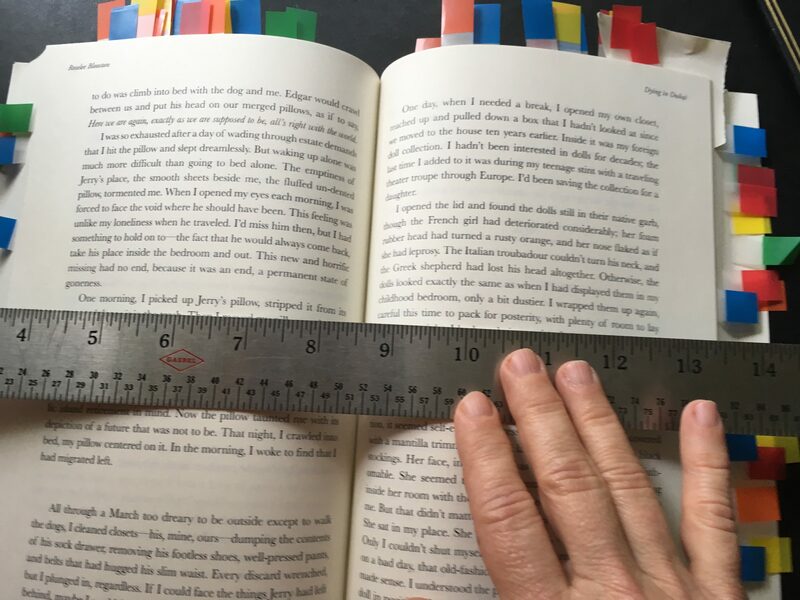 Many readers don’t realize what goes into the editing of a book. Let me clue you in. DYING IN DUBAI has gone through numerous drafts—at least 14 by my latest count: some, which I edited myself, and some, which an outside editor reviewed. The first editors to comment were developmental editors. Their job is to look broadly at character, plot, story arc, themes. Like novels, memoirs must satisfy in all of these categories. When I handed in my drafts, I was nervous about what these editors might say, and also eager to address their concerns. That doesn’t mean I always took their advice; not because they were necessarily wrong—usually they had valid points—but because, ultimately, it was my book, and I was the final editor. I needed to trust my gut when making a choice between their suggestions and my own sense of what had to be said, or eliminated. Now I am very grateful for that process; it made the book better. The other type of editor is a copyeditor. These essential professionals go over the writing word by word and line by line to find mistakes in spelling, grammar, punctuation, and sometimes in formatting, i.e. spaces between sentences and words. I hired a very competent woman to line edit the memoir before I turned it into my publisher, who would then layout the pages in book form. My small university press didn’t have the staff to copyedit, and recommended that my copyeditor and I follow the Chicago Manual of Style as a guide. When I turned that draft into the publisher, I thought I was done. But no. What followed once I saw the layout were another 4 drafts of back and forth between me and the layout designer about spacing, font size and style, headers and footers, blank pages, and the bane of my existence: the Oxford comma. That’s the comma before “and” in a series of three or more, that AP style avoids to save space and Chicago embraces. I had been trained not to use it, but as soon as I chose, for design reasons, to add a comma before “and” in the cover subtitle— a memoir of marriage, mourning, and the Middle East—I had to go back through the entire manuscript to be consistent (most important, according to the publisher) and to add countless Oxford commas, making only a few exceptions for reasons of spacing. I won’t bore you with em dashes (—), ellipses or italics. Suffice it to say, the lists of corrections that I sent the designer were long and detailed. Midway through this grueling process, I attended a reading at my favorite local bookstore, Oblong Books & Music in Rhinebeck, New York by Mary Norris, famed copyeditor of the New Yorker, and author of Between You & Me, Confessions of a Comma Queen. During the Q & A, I asked if she and the copyeditor of her publisher, W.W. Norton, had had any disagreements about style choices. She said yes, but that they had worked them out. Then she volunteered that the hard cover version of the book had been “riddled with errors,” and that the paperback version, which we were there to celebrate, still had two. I was shocked and dismayed. If the most trusted copyeditor of the most polished magazine couldn’t perfect her book, what hope was there for me? After the talk, I handed Ms. Norris my newly purchased copy of her book to sign, telling her that, I was both heartened and horrified to hear of her experience, because I was about to have my own first book published. I thanked her, took her instruction as gospel—she had forty years of copyediting experience to my one—and have employed the ruler three times. Most recently, during my final pass, after going through the Advance Review Copy (see my previous blog post ), making my last changes, and then receiving a final PDF from the publisher for me to sign off on, I discovered that not everything was in my control. Yes, they had made all the changes I asked for, but in so doing had triggered a bizarre software malfunction rendering the layout a mess! I had a morning-long panic attack, took a deep breath, texted my publisher to alert him about the problem, and am now awaiting yet another PDF to review: draft number 15. So I ask only one thing of you, dear Reader: if you find an error in my book, remember that it puts me in good company.